For Serious Ninjutsu Students Only! Are You Tired Of Spinning Your Wheels When It Comes to Your Training in Ninjutsu... Feeling Like You're Getting Nowhere? YOUR TRAINING WILL BE WRONG! "What REALLY makes someone a Ninja"
"What do YOU need to do to become one?" I told you it seemed to be simple. Because there are far too many people, on the internet and off, who are tossing around ideas, definitions, and training methods that are nowhere close to the real art! Top that off with all of the movies, anime shows, and what-not that play on the fantasy side of your creative imagination (NO, Ninja can NOT jump from the ground up on to the roof of a building, or climb the side of building with hand claws! Not like you see in these half-baked kid's shows anyway!). Hi, I'm Shidoshi Jeffrey Miller and you may or may not know me. In fact, I'm not even sure how you found this web page. You may be one of my students, a subscriber to my online newsletter, or you may have just found your way here because you read one of my books, articles, seen one of my many videos or perhaps it was just that someone who knows me knew you might be interested in getting a real expert's opinion and referred you to me across the sea of cyberspace. I know how difficult it can be to find those answers. In fact, well over 90% of those training in the art today - both teachers and students - have reduced it to a mere shadow (pardon the pun) of what it's supposed to be. Do you struggle with trying to learn the art of Ninjutsu? Have you ever felt like, the more you scour the internet and the more information you get, the less sure you are about what is and what is not authentic Ninja training? As I said... my name is Shidoshi Jeffrey Miller, and I'm the founder & director of Warrior Concepts Int'l, and the Bujinkan Moki no Tora Dojo ("The Forest Tigers's School of the Divine Warrior") and a master-teacher in the art and practice of authentic, Japanese Ninjutsu. I've been training in the Ninja's art, under some of the top instructors in the world - including Bujinkan Dojo Grandmaster Masaaki Hatsumi - practically since it made it's introduction into the Western-world in 1980. And...every year it seems to get more difficult to separate the good information from yet another story made up by some wanna-bee Ninja master who's trying to convince everyone that the fantasy movie and anime characters and their skills are the real thing. What I also offer my students is a background in law enforcement, undercover investigations and as a bodyguard to such high-profile celebrities as a former US Secretary of Defense, the commanding General during operation Urgent Fury in Grenada, and several members of the Dallas Cowboy Cheerleaders to name just a few. This is real-world experience on the streets and in raw, gut-wrenching violent situations that most martial arts and self-defense instructors just do not have. And speaking of martial arts instructors, I have also trained in several conventional martial arts systems - styles like Aikido, Jujitsu, Goju Ryu Karate, Kung-fu, and Bruce Lee's Jeet Kune Do. So, when I discuss the differences between Ninjutsu and other martial arts, or problems with certain practice methods - it's not coming from an ego-based bias, but a real-world knowledge of those arts gained through training, research and experience. Now, I'm not telling you these things to impress you, but to impress upon you that I have not only been in this art almost since it's beginning here in the West, but I got involved when the focus was on real-world self defense. I have seen the training change and become a mere shadow of itself (pardon the pun), regardless of what many people think who have only been in the art for the past decade or less. One of the problems that allows so many so-called Ninja masters to put out the information that they do, is the fact that ninjutsu is, by its very nature, shrouded in mystery - and has been covered up by layers and layers of secrets, myths, and legends since its creation. But, through all of the smoke and mirrors - beneath all the myths and legends - history does provide the truth. If you know where to look. And, this historical validator to authentic Ninjutsu is spelled out for you in a book that I've just written especially for serious students who want to know how to be a true ninja warrior. Inside you'll learn about each of 8 areas of mastery that were the minimum required areas of study for ancient ninja - and those who want to be one in Today's world! "How do I know that I'm practicing the real art of Ninjutsu?" When you read this book, you'll learn about the exact skills that make up the core of Ninja mastery. Any school of authentic Ninja training MUST be teaching these 8 skill areas - AS AN ABSOLUTE MINIMUM! And, while the Togakure Ryu of Ninjutsu, the historical lineage at the foundation of my own Warrior Concepts Life Mastery Program has many more skill areas included in it's curriculum, these '8 Gates' lie there within the larger skill set. In fact, when you see what information I've included in this powerful book, you'll understand why the Ninja no Hachimon is THE place to begin if you're serious about attaining mastery in this ancient, powerful, and proven warrior tradition. But, the simple truth is that, if you really want to master the art of ninjutsu, then you must be trained in these 8 skill areas. Without them, you are just another martial artist. Worse yet, if all you have are a hodge-podge of notes, information, and "lessons" from others, you can't even claim that! "But," I can hear you asking, "how much is this book going to cost me, Shidoshi?" That's a fair question, and I'll share that with you in a minute, but, let's talk about something else for just a moment, because this isn't about price - it's about your progress towards Mastery. ...what is having a resource like this at your fingertips worth to you and your training? The truth is that, it has taken me nearly 30 years of training, research, and exposure to teachers all over the world to, not just be able to tell you what the 8 Gates of the Ninja no Hachimon are, but to be able to share secrets and insights with you that can only be gained through direct experience and mastery. The insights that I share with you about each of these Gates - and the entire body of knowledge itself, took me over 2 decades and thousands of dollars to learn - not to mention my own practice and study time. No fluff. No hype. No statements about how this book will suddenly make you a master, or how you'll be able to possess the "ninja death-touch" within 30 minutes of downloading it. Just knowledge and secrets about what a person, just like you, was required to master in ancient Japan - and Today - if he or she was to be considered a true Ninja. But, if you order today - right now - I'll also include a recording of a special tele-seminar that I did a while back for a group of students on this exact subject. The audio recording - a 1-hr course that provides a great overview and starting point for understanding each and every "Gate" - is going to be sold shortly for at least $97 by itself. But, you can have it today as a part of this offer, as my gift to you for ordering the book. The question isn't, why would you want this training. The question is... how committed are you to getting it. And...more importantly, do you know what it is that you're supposed to be training - that you're supposed to be working towards mastering - in the first place? Just click on the button below to pay with PayPal or CC and, as soon as payment is complete, you'll be reading this powerful training resource and/or listening to the special recording of the live training! 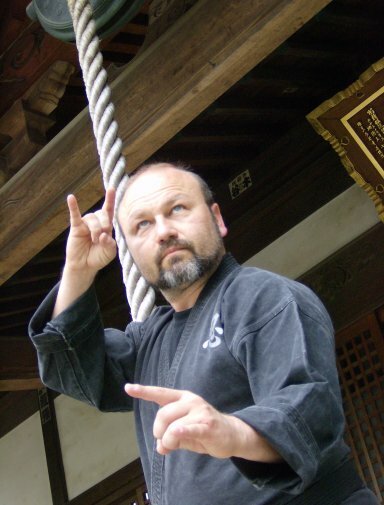 What would a book and audio course about authentic, traditional Ninjutsu training from a real Master-Teacher in the art do for you, your skills, and your training? So, think about it. 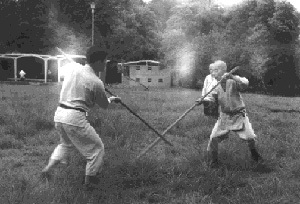 What would the knowledge and historically accurate facts in this course do for you in your attempts to be a real master of the Ninja's arts? What would it mean for you if you were able to take control of your progress, and start seeing more focused results today, this week, this month? How would that change your training - your skill level - your ability to create results? What if you could have a structured training outline about the minimum training areas to be a ninja? How about focusing your training and research efforts and shortening the time it takes to get to black belt, 5th degree, or to become a full master-teacher of the art? How would it feel to you to be able to possess the confidence, power, and control of an authentic, modern-day ninja? There's really nothing else to say about this subject. Order your Ninja no Hachimon ebook and bonus audio recording by clicking on the link below now. To Your Achievement of Mastery! PS - Imagine your life with these skills. How would your life be different with this knowledge, and the skills that you'll be able to develop with it? Go ahead, get this powerful ebook - it works. I guarantee it! PPS - If you don't do this today,you may wonder forever what your training could look like 90 days from now...don't lose out forever, claim your copy of my brand new ninja training ebook and audio course today! that I will teach you!